My journey in discovering what harms and heals the mother- daughter relationship started twenty years ago, during my twenties. My heart yearned to feel known and loved by my mother, so I started to read books and talk with other women about their mother-daughter relationships. The more I read and listened, the more passionate I became about understanding what was really going on between mothers and daughters. I also became more confused. It felt as if a large piece of the puzzle was missing. It wasn’t until I gave birth to my own daughter that I started to understand the deeply rooted themes that run through all mother- daughter relationships. I woke up to what was happening between my mother and I moments after my daughter was born. I was living in New Zealand and had been fighting to be heard by my mum since my early teens. I remember the moment I heard the midwife’s voice telling me that I had a daughter as if it was yesterday, and not eighteen years ago. As the reality of having a daughter sank into my consciousness, the room I was in started to fade away into blackness. In the darkness that suddenly surrounded me I saw in front of me, as if projected on the wall, a time- line of all the abusive experiences, events and emotional neglect my great-grandmother, grandmother, and mother had experienced. I saw and even felt how each of them had suffered life-stripping emotional neglect because no one had asked them what they needed or felt. I also felt how each of them had survived this silence and invisibility by learning to believe that silent invisibility is a normal state of survival for women. This left their daughters starved for attention from their mothers. They were left feeling the same invisibility and emotional neglect that their mothers had felt daughters themselves. And again, it left the next generation of daughters spending their childhood and adult years learning about what their mothers needed rather than learning about what they needed. The mothers had passed on to their daughters their own complete oblivion that something essential was missing. 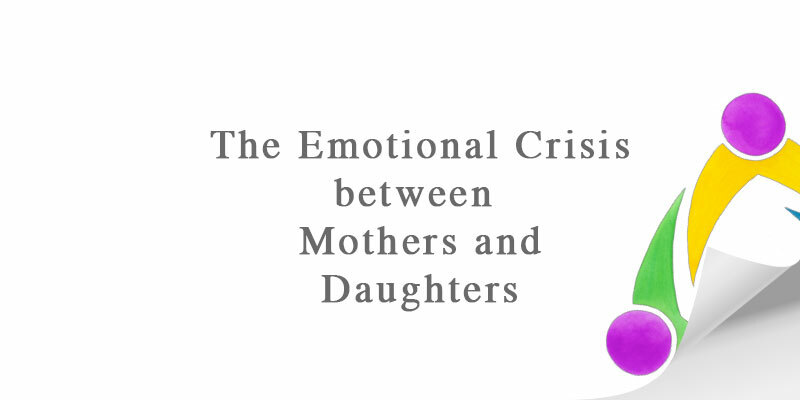 In their flurry to care for their mothers, the daughters did not realise that their own emotional needs were missing and that they didn’t know the language or own the sense of entitlement to claim their needs. Just like their mothers, they did not recognise how emotionally starved they were and that they had learnt to accept emotional starvation as normal. In this starved state, they also did not recognise how dangerous it is to be disconnected from your emotional needs. They did not understand that not feeling entitled to ourselves leaves women (and men) vulnerable to being and accepting abusive behaviour from others. 4. How much time for myself do I have? Time at work doesn’t count. Work is not the place to recharge your batteries.